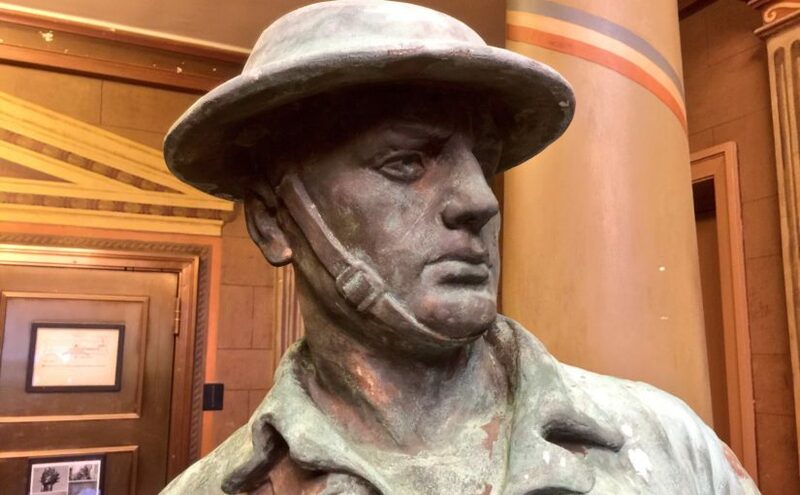 New York City has 16 Doughboy sculptures but one has been hidden in storage for more than 40 years, after being severely damaged by vandals. Today the 1923 memorial to men who served from the Highbridge neighborhood of the Bronx has been restored by the New York City Parks Department and will be rededicated at ceremonies at its new home in Macombs Dam Park, across the street from Yankee Stadium. Friday, September 28, 2018, 11:00 a.m.
World War One reenactors will be the honor guard, musicians, and living history component of the event. Attending will be elected officials, American Legion, Veterans of Foreign Wars, United War Veterans Council, the WWI Centennial Committee for New York City, U.S. World War One Centennial Commission, descendants of servicemen lost in the war, and area residents. Reenactors are invited to attend in uniform to participate in the ceremony. 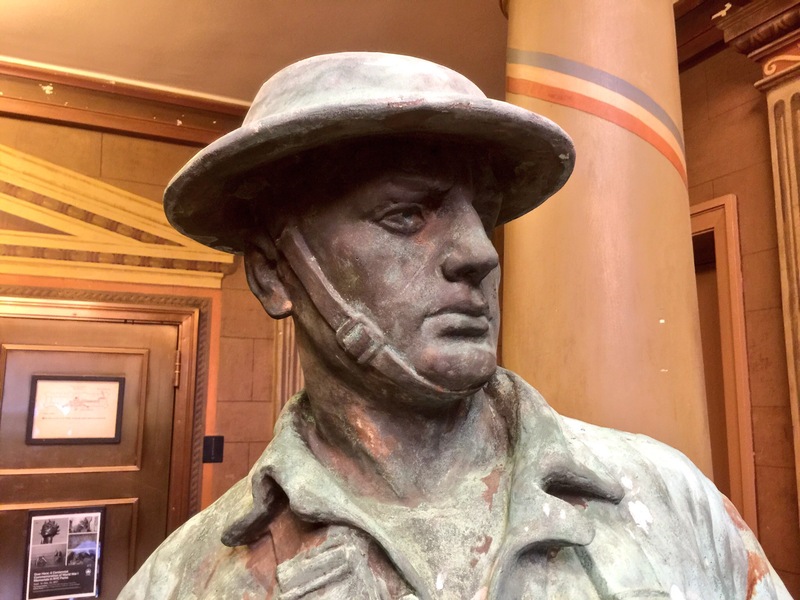 A team of researchers from the East Coast Doughboys wrote the biographies of the 21 men who will have their names once more returned to the memorial, following the disappearance of the bronze plaque in the 1970s. Immediately following the ceremony will be a luncheon reception. Ample parking is in parking garages next to the site (160 Macombs Dam Bridge, Bronx, NY 10452) and trains to Yankee Stadium are across the street (D or 4 train).